he Lubrizol Corporation, inventors of chlorinated polyvinyl chloride (CPVC) compound, and Ashirvad Pipes, pioneers in providing world class CPVC solutions, introduce to the Indian market Ashirvad’s new Fire Protection Systems featuring BlazeMaster® pipes and fittings. The offering of this better fire protection solution for India builds on the success Ashirvad has had in helping to improve the safety and health of water across India with Lubrizol’s FlowGuard® CPVC plumbing systems. “Lubrizol’s BlazeMaster Fire Protection systems have been installed around the world in high-rise buildings, schools, office buildings, hotels and health care facilities,” explains Vince Misiti, general manager, Lubrizol CPVC Piping Systems and Materials business. “These millions of meters of piping have been instrumental in reliably helping to reduce fire damage and in protecting countless lives globally. We are thrilled that these advantages will be extended further to the Indian market through our partnership with Ashirvad Pipes.” “Ashirvad is committed to providing better fire protection solutions to safeguard lives and property in the communities we serve,” emphasized Deepak Mehrotra, managing director Ashirvad Pipes Pvt. Ltd. “To fulfill this commitment, we are introducing Ashirvad Fire Protection Systems, featuring BlazeMaster pipes and fittings as a key offering in an array of other soon to be launched fire safety products.” Ashirvad is the exclusive manufacturer and marketer in India of BlazeMaster pipes and fittings. All BlazeMaster products are made from the highest quality CPVC, specially formulated for fire protection and fully approved for use in NFPA 13, BSEN 12845, IS 16088: 2012, Light Hazard applications. Additionally, BlazeMaster systems supplied by Ashirvad Pipes are UL listed, with Factory Mutual approved fittings. Lubrizol introduced the resilient material into India nearly two decades ago. Since then, India’s plumbers, engineers, builders and consultants have been reassured by the only material of its kind to be designed and approved to meet all global standards. Lubrizol’s local manufacture of these world class quality materials started in January 2016 at the company’s Dahej, Gujarat facility. “As a result of the simple installation process and competitive pricing, we are confident that BlazeMaster pipes and fittings will be well accepted over metallic fire sprinkler systems in the market,” states Soumendra Mishra, head-high rise and fire protection systems solutions, Ashirvad Pipes. Ashirvad Pipes has a strong network of over 1,100 distributors throughout the country. They will rely on this network to ensure that the Ashirvad Fire Protection Systems with BlazeMaster pipes and fittings is available for all their customers. Sunil Banthiya-COO-Aliaxis India, Ursula Thakkar-MD- Lubrizol Advanced Materials India Pvt. Ltd.-South Asia and ONeil Pinto-Business DirectorTempRite-South Asia, Lubrizol Advanced Materials India Pvt. Ltd. About Lubrizol’s CPVC Piping Systems and Materials Business: The Lubrizol Corporation is the innovator and world leader in chlorinated polyvinyl chloride (CPVC) resins and compounds. Our high-performance and low-combustibility CPVC technology can be found in FlowGuard® Pipe & Fittings, BlazeMaster® Fire Protection Systems and Corzan® Industrial Systems designed for plumbing, fire protection and industrial piping applications. In addition, our CPVC product is also used in a variety of specialty applications serving diverse markets. Backed by robust research and development capabilities and the technical expertise of our piping systems consultants, millions of meters of our CPVC piping systems have been installed globally. For more information, visit lubrizolcpvc.com or www.blazemaster.com About The Lubrizol Corporation: The Lubrizol Corporation, a Berkshire Hathaway company, is a market-driven global company that combines complex, specialty chemicals to optimize the quality, performance and value of customers’ products while reducing their environmental impact. It is a leader at combining market insights with chemistry and application capabilities to deliver valuable solutions to customers in the global transportation, industrial and consumer markets. About Ashirvad Pipes PVT. LTD, Bangalore: Ashirvad, an Aliaxis group company, setup it’s Bengaluru unit in 1998 and is a wholly owned company of Aliaxis group. Aliaxis group is a global leading manufacturer and distributor of plastic fluid handling systems used in residential, commercial and industrial buildings. Headquartered in Brussels, Belgium. Aliaxis is present in over 40 countries with more than 100 manufacturing and commercial entities, employs over 15,700 people and generates more than 3 billion Euro (INR 21, 600 crores approx.) in annual sales. The world is changing faster than ever – socially, technologically, environmentally, politically, and economically. In the midst of these shifts, designers have the crucial task of thinking about what our future will look like and how we will interact with it. The future of design will be more about what we do with our time through an array of technology-supported options. Sustainability and the need to mitigate the impact of climate change will also require advanced technological solutions to improve energy efficiency. Designers and architects’ role will be to anticipate people’s interactions with technology and provide them with products, living and working spaces that help solve the many challenges the future will bring. The future of design is about being malleable and giving people choices to live and work at their best. Think about the future. Think about needs. Think about people. Think about systems. An overview of the 12 th Edition of the 361 Degree Design Conference 2019, held in Mumbai on 14 th and 15 th February 2019. Gather-Together by Compartment S4 encompasses a contemporary vibe with a strong sense of history drawing from the city’s hold havelis and structured the design around an innovative long table. Flexible design for versatile programs Manoj Patel Design Studio creates a spacious and modern office in Vadodara that maximises its area and creates functionally segregated spaces central to the office typology. Indian Architect & Builder: (ISSN 0971-5509), RNI No 46976/87, is a monthly publication. Reproduction in any manner, in whole or part, in English or any other language is strictly prohibited. We welcome articles, but do not accept responsibility for contributions lost in the mail. Printed and Published by Hemant K Shetty on behalf of Jasubhai Media Pvt Ltd (JMPL), 26, Maker Chamber VI, Nariman Point, Mumbai 400 021. Printed at The Great Art Printers, 25, S A Brelvi Road, Fort, Mumbai 400 001 and Published from Mumbai - 3rd Floor, Taj Building, 210, Dr D N Road, Fort, Mumbai 400 001. Editor: Maulik Jasubhai Shah, 26, Maker Chamber VI, Nariman Point, Mumbai 400 021.
eberit India, opens its Technology Centre at its manufacturing unit in Chakan, Pune. This new centre houses a plumbing tower and showroom, showcasing the latest innovative products from Geberit under the Design meets Function umbrella- spread over three floors. The inaugural event, saw an overwhelming participation from the guests (totaling more than three hundred, comprising of channel partners, architects, consultant’s, builders, developers and other well-wishers of Geberit. Most importantly the event was organised with the theme of “Innovation” and this key message got validated and confirmed during the customer interactions at the event. The inaugural lamp was lit by Othmar Hardegger, Consul General, Consulate General of Switzerland, Mumbai, Ronald van Triest, Head of Division International, Member of the Group Executive Board, Geberit International AG and Mr. Bruno Rubino, Managing Director, Geberit Manufacturing, Pune along with many dignitaries. India, MD, Mr. Abubaker Koya, welcomed the gathering and thanked all the Geberit customers and partners for their continued support and contribution towards Geberit’s successful business growth in India. The guests thoroughly enjoyed the tour of the Technology Centre and the light entertainment followed by cocktails and dinner. All in all, a very successful evening that was Simply Swiss in its outlook! Häfele Digital Door Security Systems - It’s time to ‘REinvent Access’…! expression that was pre-set as your access recognition. REAL: Because you need a better security solution… •	Its time your digital door security system gets a promotion with Häfele’s REAL Digital Door Lock. True to its name, this lock addresses the ‘real’ needs of holistic home security through its feature-rich proposition. With 4 different access modes – Finger Print, Key Pad, RFID and Mechanical Key – Häfele’s REAL Digital Lock brings you optimum security and more choices. RESIZE: Because your fashionable door needs its ‘right’ match… •	Häfele’s RESIZE Digital Lock uniquely combines incomparable technology with an aesthetic design, bringing the much desired ornamentation to your door while also securing your home with planned access. Owing to its singular design, RESIZE allows you to combine its existence with any preferred lever handle as per your choice. This brings in a whiff of customization to your approach while designing the security needs for your door- you may not otherwise find such flexibility in the market. REPLACE: Because your mechanical lock needs an upgrade… •	Häfele’s REPLACE Digital Lock is designed to bring a seamless transition from traditional mechanical locks to sophisticated digital security systems. As the name suggests, this lock will replace the limitations of the traditional lock-and-key with the innumerous possibilities of a tech-savvy digital lock- and literally overnight. With 3 different access modes – Key Pad, RFID and Mechanical Key – Häfele’s REPLACE Digital Lock addresses your principal security needs; and the possibility of combining two access modes neutralizes any chances of a break-in. REBELL: Because you need a 99.99 “100” percent… •	Häfele’s REBELL video doorbell completes our offering for holistic home security with an added touch of smartness. This Wi-Fi enabled solution can be integrated into your smartphone through a featurepacked App that allows you to remotely manage all functions at your fingertips. This means that you could be lazing in your bed or sitting at your office desk or shopping at your favourite mall and yet you can see or even talk to the person standing at your doorstep. double speed, managed integrated workflow and HP signage suite advantage to produce more applications without a design skill set, HP creates the best experiences for its customers at a low cost. HP Latex 570 Printer on the other hand has been especially designed to help customers accomplish top quality and high-volume print jobs in a cost-effective manner while experiencing quick and easy loading in one minute with the spindle less pivot table. Outokumpu - the global leader in the advanced material business with heritage going back over 100 years to the very invention of stainless steel. Strong yet pliable. Resistant yet yielding. Useful yet decorative. An apparent contradiction. A synthesis of depth and surface. A generous range of decorative stainless steel for building facades, elevators, indoor & outdoor furniture, kitchenware and utilities. The list of applications is growing ever longer for smart cities being created in India. The beauty of engineering Gone are the days when stainless steel products were only there to do a job, looks be damned. Nowadays aesthetics play an important part together with a union of form and function. So, if you are an architect or a designer, we hope to inspire you to create a world that lasts forever. One of the oldest and most respected design forums in India, the 361° Conference is an initiative by Indian Architect & Builder, under the aegis of Jasubhai Media, to inspire a truly relevant discussion on architecture. The Conference establishes a thought – exchange program with lectures and discussions chronicling a multitude of ideas and innovations that have had a significant impact on our habitats. Through the years, the conference has connected various disciplines of design, by offering dialogue opportunities across essential themes like Architecture and the City, Architecture & Identity, Architecture of Purpose, New Spirit in Architecture, Design & Informal Cities, Earth Matters, Imagining Urban Futures, Material Innovations & Discourse, Intuition & Syntax in Architecture. Single issues are retailed at `200. If you would like to purchase back issues, kindly mail us. You Design.We Execute. Q: How was the idea of Design Café born? Q: When you say “Pain-points”, what are you talking about? Gita: Design Café was born out of the desire to make quality home interiors available to everyone, in their budget. When my partner, Shezaan & I started Design Cafe in its first avatar, we were doing all genres of projects, but gradually we realized that there existed a severe lacuna in the residential interiors category where quality & execution were a major issue. We wanted to fill that gap and make the best of systems and processes accessible to homeowners and the Architect & Interior Designer Community. Shezaan: Usually, architects partner with contractors or carpenters who don’t deliver a professional level of service. Things like vendor management, material sourcing, adhering to deadlines and timely communication are some of the woes that we take over, so Designers who want to spend more time on designing, can. Q: Tell us about the Architect Partnership Program of Design Café? Shezaan: We came across several architects who were looking for a professional execution partner who not only delivered better quality of final products, but also provided a better execution experience. We realized that we had the infrastructure to cater to that need and so the Architect Partnership Program or the APP as we call it, was incepted. Designers want to Design, and we want to let Designers focus on Design. Q: How does the APP help the architects? Gita: Architects typically spend around 60% of their time in project management which reduces their efficiency and the number of projects they can take at a time. When you partner with Design Café, we take care of all the pain-points, so you as a designer can focus on the design and leave the frustration and chaos of execution today, to us. Q: How does APP help the Architect community? Gita: As Architects’ ourselves, we understand the importance of a project well-delivered. While working with our partners we focus on 2 things – Quality & Experience. We have dedicated manufacturing units with international machinery to deliver a quality project along with the 30-point QC which ensures that the end-product is exceptional. Every project is installed by our highly trained & professional execution team. Shezaan: To deliver an exceptional experience, we have a realtime project tracking, where they can see the entire dashboard of the progress. Our sourcing & operations team take the load of coordinating, negotiating and planning with vendors. The in-house Customer Happiness Team eliminates the communication gaps & fasttracks any grievances the client may have to the concerned person. With the Design Cafe, we ensure that our partners not only get the best quality of products, but also a superior experience. A Bangalore based architect partner says about Design Café, “My work load has been decreased by almost 50%!” Q: How has the APP program been received amongst the architects? Shezaan: Oh, it has been a phenomenal success! We have hardly spent anything on marketing. Most of the people who have signed up with us, have come to us through referrals & Word of mouth. Which invariably tells us that, it has been well received by our partners. Once someone has a good experience, they stay on with us and also refer us to other architects & interior designers. Q: So what is on the cards for Design Café in the future? Shezaan: Right now, we are focusing on expanding our footprint across Bangalore & Mumbai and the top 4 cities after that, while constantly improving our systems, processes & technology to be better and deliver better. We want to be the No.1 in our business and we are working hard to achieve that every day. Designer want to Design. And we want to let them focus on Design. he concept of smart cities came into being as a consequential development to internet of things (IoT), digital connectivity, global warming and the compelling necessities for energy saving. More than 50 % of the worldâ&#x20AC;&#x2122;s population lives in cities, A city environment, with a closely knit street light network became a natural choice for a smart city concept, hosting sensor networks and wireless communications for traffic control, smart parking, noise and air quality monitoring, incident detection, and more. Smart city lights are not stand alone system. They have to be integrated with other systems under what is known as Internet of Things (IoT). Hence the chosen smart city light poles should be able to accommodate a full range of lighting controls compatible to remote control and integral with suitable sensors for the respective application. In fact, the smart city pole is going to be a service platform for various services for Network redundancy, application areas such as mobile connectivity WLAN), traffic control, security camera (CCTV), information transfer, public announcement with loud speakers, smart parking, environmental monitoring and even the electric charger for electric cars etc., K-Lite proudly announces the introduction of smart city poles (Intelligent poles) with its modular solution, to cater to the above needs in the upcoming smart cities with the salient features as below: Salient Feature of Smart City Pole One main pole with one to five modules, Smart column is a multitude of combinations. With flexible modules, the smart column is very handy and flexible for add-on. Choose your combination, add the module, connect them together and the smart column is ready to meet your requirement. Ultratop System – Versatility and Resistance From industrial settings to museums: functional flooring in line with the latest trends in contemporary design. civil use: Public, Private, Commercial and Residential. Some of the applications of Ultratop Living are: •	New floors in Shopping Malls, Super markets, Hotels, restaurants shops, showroom and Apartments •	Abrasion resistant floors on concrete old terrazzo, ceramic and natural stone subjected to light traffic. According to EN 13813:2002, Ultratop Living is classified as CR-C30F7-A12-A2fl– s1. CT refers to the cementitious-based product, C30 and F7 refer to the compressive and flexural strength respectively after 28 days, A12 is the Bohme Abrasion resistance coefficient and A2fl–S1 is the fire reaction class. Ultratop Loft, One-component, trowellable coarse-grained cementitious paste applied in layers up to 2 mm thick to create decorative floors with a trowelled or mottled effect. Ultratop Loft F is the ideal coating product to create decorative interior floors and walls with a pronounced materic effect. The consistency of the product, reduced thickness of the layer applied the possibility of being applied also on vertical surfaces and of combining it with a various range of colours, allows an infinite variety of original and unique coatings to be created. Some application examples •	Creating floors in shopping centres and residential areas. •	Creating coatings on floors, walls and ceilings with a trowelled effect. •	Creating floors and walls in cafes and restaurants. •	Creating floors in wellness centres, hotel receptions and showrooms. •	In all areas in the residential and commercial building sector where a smooth and mottled effect with a cementitious matrix is required. Ultratop Loft, One-component trowellable fine-textured cementitious paste applied in layers up to 2 mm thick to create decorative floors with a trowelled or mottled effect. The consistency of the product, reduced thickness of the coat applied and the possibility of being applied also on vertical surfaces and of combining it with a various range of colours, allows an infinite variety of original and unique coatings to be created. Some application examples are: •	Creating floors in shopping centres and residential areas. •	Creating coatings on floors, walls and ceilings with a trowelled effect. •	Creating floors and walls in cafes and restaurants. •	Creating floors in wellness centres, hotel receptions and showrooms. •	In all areas in the residential and commercial building sector where a smooth and mottled effect with a cementitious matrix is required. If used to create decorative floors in environments such as homes, showrooms, shops, etc., Ultratop may be dry-polished to leave an effect that is similar to natural stones, or it may be mixed with natural aggregates which, after polishing, leave an effect which is similar to “terrazzo or veneziana” floor. he 12th Edition of the 361 Degree Design Conference took place on 14th and 15th February 2019 at the renowned Nehru Centre Auditorium. The theme of the conference â&#x20AC;&#x201C; Designing for the Future is a concept that has been visited and revisited since time immemorial. The innovations, technology, comforts that civilisation appreciates is the work of visionaries that transpired in the past. And much that pains the current world is also a result of decisions made in the past. The question that looms is; what is the current world, this generation of makers; creating for the future? The conference largely presented two ideas; projecting a future and working towards it; the second was about navigating around existing challenges and scenarios. Organised by Indian Architect & Builder Magazine of Jasubhai Media, the conference was presented by Armstrong Ceiling Solutions. Canadian Wood was the sustainability partner and UltraTech Cement Ltd. was the Building & Construction industry knowledge partner. The associate partner was Tata Structura and Outokumpu was the innovation partner. CREDAI-MCHI were the support partners. The 14th of February saw the inaugural of the conference with over 600 professionals and students present in the auditorium. To mark the commencement of the Conference, Maulik Jasubhai, Chairman and Chief Executive of Jasubhai Group & ChemTech Foundation, addressed the gathering throwing light on the founding principles of Indian Architect & Builder and the core values of the Conference. This was followed by the lighting of the lamp with Mr. Maulik Jasubhai, Mr. I. M. Kadri, Mr. P. V. Somasundaram, Ms. Martha Thorne, Mr. Gyan Madhani, Mr. Yatinder Pal Singh Suri, and Mr. Hemant Shetty. Inaugural Address – 14th February: Martha Thorne. Panel Discussion on day - 1; moderated by Rohan Shivkumar with speakers (L-R) V. Vishwanath, Alireza Taghaboni, Pinkish Shah, Prashant Dhawan, Rohan Shivkumar, (moderator), Olga Chepelianskaia, Dr. Reinhard Konig, Martha Thorne and Shubhra Raje. The inaugural lecture was presented by Martha Thorne who raised the concerns of the uncertainty of the future. She backed her arguments with an example of the 3d printing technology. Back in the day, especially during the IT boom across the globe, it was speculated that every home would own a 3d printer. But till date, they remain elusive not only to the masses, but also to many architects and designers even though the technology can add immense value to architecture and design. Enrico Dini, the man who invented the 3d printer, presented on the second day of the conference. 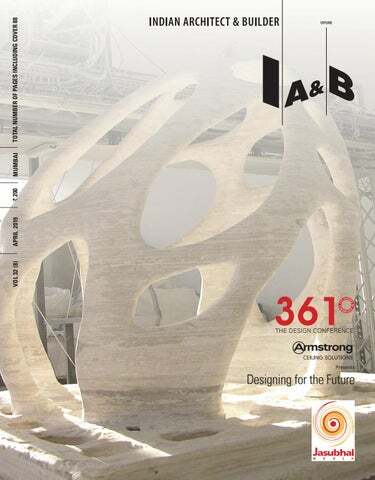 Enrico Dini and Paolo Carboni highlighted the potential of the 3D printer in architecture and design – a technology that should have gained mainstream acceptance owing to the endless opportunities it presents, but still struggles to find the right backing and investor buy-in. and Gurjit Singh Matharoo. The speakers pressed upon the need of using resources judiciously and not overlooking the impacts of climate change. Addressing similar challenges, Michael Green, principal at Michael Green Architecture offered wood architecture as an alternative to the steel and concrete in construction. He demonstrated, with examples and successful experiments wherein he constructed the first wooden tall-storeyed building in North America with 8 floors. Ayaz Basrai demonstrated how design can be a tool to bring about a larger communal change; beyond solely building and producing objects. Monish Siripurapu spoke extensively about innovations in design, but ensuring that all this technology doesn’t leave behind any major carbon footprints. The first day came to a close with a question and answer session moderated by Rohan Shivkumar with pertinent questions raised by the audience and even some debates amongst the speakers. Young Designers’ Jury architect: Alhad Gore. Keynote speakers Dr. Reinhard Konig, Martha Thorne and Shubhra Raje. Young Designer felicitation by jury architect Alhad Gore and Abhinay Vyavahare, Armstrong Ceiling Solutions. V Murali Krishna, Tata Structura. The second day proceeded with an audience interaction at the end of every lecture. The conference drew to a close with all speakers of both days taking stage and seating themselves at the edge of the stage and addressing the audience. The second day also hosted the Young Designers’ Award, in its 20th edition, with jury architect Alhad Gore and Abhinay Vyavahare from Armstrong Ceiling Solutions felicitating the winners. Naresh Duble, Armstrong Ceiling Solutions. Dean of IE School of Architecture and Design & Executive Director of the Pritzker Architecture Prize, Martha Thorne shares her unique perspective on how technology will shape the future of architecture and design, and how we, in turn, will shape the technologies of the future in her thought-provoking 361 degrees lecture. nrico Dini and Paolo Carboni highlighted the potential of the 3D printer in architecture and design – a technology that should have gained mainstream acceptance owing to the endless opportunities it presents, but still struggles to find the right backing and investor buy-in. Speaking on large scale 3d printing in architecture – think big, print bigger, Enrico Dini, a pioneer in 3D printing, mentions that inventions don’t happen by chance. He takes us back ten years, to Buti near Tuscany in Italy where he and his brother first 3D-printed an object. The outcome wasn’t as aesthetically pleasing as they has expected, but they had achieved an important milestone. They had developed the technology for 3D printing from scratch, which of course needed tweaks and adjustment to be as near perfect as possible. The object they created, Radiolario Pavilion, too was tweaked, grinding it to bring out its aesthetics. The purpose was to celebrate the potential of 3D printing, to showcase an iconic, complex, free-from structure. The inspiration for the object was the organic shape of amoeba. What they wanted was an unreal shape that could be not be materialized or manufactured using ordinary means. The 3D printer that made this possible, worked from foundation to roof, as if carving out the desired shape of a monolithic structure, made with layers and layers of cemented material. Adding another layer to this innovation was computational design. Paolo Carboni is a civil engineer and architect who collaborated with Enrico for his thesis. He was keen on exploring the design processes required to create a building using this new 3D printing technology, while adding algorithmic tools that would optimize the design. While the concept is not as popular as it should have been, it goes on to highlight the potential of 3D printing on building site to quicken the process. The Wood Innovation and Design Centre. Photographer – Ema Peter. Wood is carbon-neutral. It is perhaps the only material that can store carbon unlike steel and concrete that are accountable for 11% of man’s greenhouse emissions. Upon completion, The Wood Innovation and Design Centre was the world’s tallest modern all-timber structure at 8 storeys / 29.5m. Photographer – Ed White. The Ronald McDonald House is built entirely in wood illustrated that wooden buildings can be finished in glass, stone or other materials. Photographer â&#x20AC;&#x201C; Ed White. North Vancouver City Hall deploys wooden structural panels on the ceiling that are laminated together to create large prefabricated panels that act as tension chords at the bottom of shallow trusses. Photographer – Martin Tessler. This is the future he envisions for his city, and his country: Spaces informed by economic reality and spatio-social possibility right on the border of familiarity and strangeness. Biomimicry – Design that sustains all life Prashant Dhawan is the co-founder of Biomimicry India Lab and Studio as well as the Biomimicry India Network. Biomimicry India has been and is actively involved in spreading the knowledge of biomimicry and has organised and conducted biomimicry talks, workshops and courses at various schools, colleges, corporate offices and conferences as well as ‘open to all’ talks and workshops across India. Prashant prefers to see himself as an amateur researcher of ‘sustainable happiness’. For instance, why does a ‘best before’ date on harmful plastic packaging decide whether you consume or throw away a product? Prashant’s students are working on a disposable packing design which, like fruits that tell you their maturity status from raw to over-ripe, communicate the product’s status in real-time. Then, another set of students studied how a cat is said to always land on its feet, and applied this to disaster relief where food and other essentials are delivered by air, and end up getting damaged when air-dropped. Taking inspiration from the honeycomb, a system of transporting crude oil could be designed that reduced weight and material used, making logistics efficient. Water filtration mechanism based on the kidneys of a kangaroo rat is always been designed. Students observed how fire ants, while they drown individually, can form groups to float on water for long periods of time. This inspired the design of something like a boundary wall that, on coming in contact with water, forms a raft for emergency situations. This solution is extremely pertinent for coastal cities with our sea levels constantly on the rise. There are several other examples of biomimicry in design – observing leeches to create better blood bags, beehives for light and stronger false ceiling systems, the tail of the seahorse for prosthetics and earthquake-resistant housing, puffer fish to prevent cracked phone screens, camel and polar bear for thermoregulation in building, mangroves for water desalination using minimum energy, cephalopods to develop materials that can change colour and shape, and so on. The possibilities are endless, if we only know where to look, and how to ethically use the solutions we mimic from nature. St. Thomas Mount Integrated Metro + MRTS Station at Chennai. Women’s Museum Bijapur – The region being highly dusty where the dust rises; the front façade has little to no openings and lighting is provided from the slit openings and the top. While in college one could undertake case-studies of built projects, there are hardly references to a co-living space and other such new-age concepts. And such concepts will transpire and even dissolve at breakneck speeds and architects have to be prepared for the design. The Louvre Museum in Abu Dhabi also accommodates space for children and outdoor activities, breaking out of the archetypical experience of the museum. he activity of eating ice-cream has gained popularity as a comfort food responsible for the scores of ice-cream parlours mushrooming all over the country, trying to assert their edge with unique, funky flavours, and a gourmet quality promise. So how does one respond to tastes of people while justifying a good design for an ice-cream parlour? cream shop belonging to one of the oldest ice cream vendors in Ahmedabad. The clients envisioned the store as a space that would be anything but mundane, and assert its distinctiveness over the other usual ice cream shops all around the country. They also felt that the store should have an ideal balance between functionality and aesthetic appeal; one could not overrule the other. act of bonding over the ice cream, assumes the place of pride. The rest of the design weaves itself around the table, with materials that perfectly complement each other to create a harmonious, aesthetically pleasing space. Real estate office space by Manoj Patel Design Studio in Vadodara, Gujarat. The office is designed in 180 square feet on the 2nd floor of an existing commercial building. The architects focused that all available space were effectively used and creatively segregated as per the principles of small space designs. architects have managed to create a visual connect while give both the cabin and the reception area the privacy and acoustic isolation that is required for work to continue uninterrupted. Further, to continue this approach of maximizing space, the architects came up with furniture design that evolved to incorporate innovation, flexibility, versatility and adjustability. The genius furniture design approach resulted in a storage unit that is accommodated in the lower half of the glass partition, and can be accessed by both areas of the office. Its openable flaps and shelf boxes in pastel colours and shades ensure optimal storage, and its sliding feature makes it a functional element. The presence, or absence of, this storage space as and when required from the two areas of the office makes the space flexible. Even the storage frame in the main cabin follows this versatility and flexibility principle. To continue the approach of maximizing space, the architects came up with furniture design that evolved to incorporate innovation, flexibility, versatility and adjustability. The lack of space brings out the architectsâ&#x20AC;&#x2122; prowess in maximizing it into a multifunctional office with customized furniture that adds to the overall aesthetic. The internal storage frame has operable perforated metal flaps with wooden side flaps below to access internal storage for cabin. This creates an impactful arrangement of storage spaces through various possibilities. Even the sitting stools in the office add to the overall idea of the space optimization. They can be used as single units or interlocked together creating a sculptural element. The pastel colours and materials used throughout, make the space are very modern. The lighting design too adds an interesting touch. These elements lend the space the creative spirit it requires while not making it look to casual at the same time. The design treatment creates the feeling of being in a spacious high-end office. Overall, the project is not restricted by the lack of space. In fact, the design is enhanced because of it. The lack of space brings out the architectsâ&#x20AC;&#x2122; prowess in maximizing it into a multifunctional office with customized furniture that adds to the overall aesthetic. We have modernists, deconstructivists, situationists, new-media interpreters, post-modernists, neo-brutalists, rationalists, minimalists and revivalists… they have defined the past 100 years of architecture! 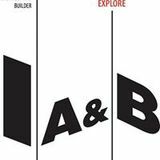 ARCHITECTURE Muraba Residences, RCR Arquitectes Skewed House, Studio Lagom Artrovert: Conversations in Grey, Anagram Architects The SHACK, The Side Lane – Design Co.